Those of you who know me a bit will know that I love nature and gardening and that I used to have an allotment many years ago. I’m also a fan of Monty Don, the presenter, on BBC 2 Gardener’s World. I’m always one for a challenge and back in April this year I applied for a pack of sunflower seeds on the Sunflower Sow Along with Monty Don. A total of 4,000 packs of seeds were up for grabs and I understand that thousands applied. I was one of the lucky ones and won a pack from Thompson and Morgan called Mongolian Giant. Yay! 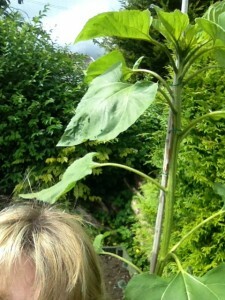 The prized Sunflower taller than me! The seeds were duly planted in the greenhouse and then a total of 10 plants were planted out in the garden. They‘ve been watered, tended, staked and totally fettered over the summer. I’m pleased to report that we’ve now two in flower and they look awesome. 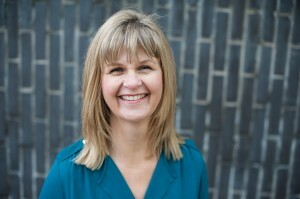 That’s the good news – but there’s a sorry tale too! Last week we went into the garden only to discover that the tallest and best looking sunflower had been torn to shreds by a grey squirrel. He’d even had the audacity to leave the not yet flowering seed head on the grass as evidence. We were left feeling frustrated and a huge bit upset that our efforts had been wasted at a critical time. But had they? I like to see the positive in a situation. My summer’s been about taking time out, reflecting on what’s been happening in my life and business this year as well as getting some perspective. 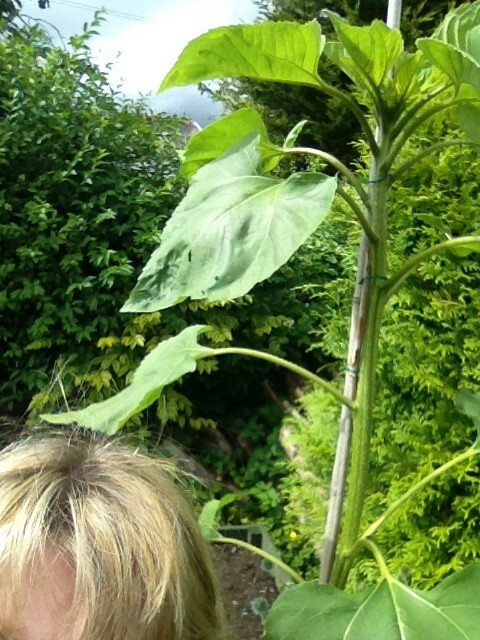 The decimated sunflower hit a nerve and one that you might recognise in your life. It’s a metaphor for the thing that you put all your hopes on working out and just maybe it doesn’t. Sometimes that’s a goal, an idea, a project, a plan, that’s been an investment of your time, energy or love. What do you do? Hit out, rebel, feel depressed, get mad or angry? And that’s such a waste of energy. I was one of 4,000 people to win a pack of seeds – success! and finally there are another 9 plants that are just as good! 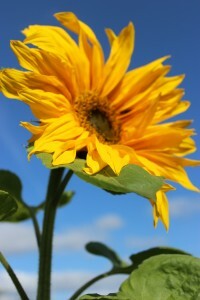 One of my sensational sunflowers! The next time your great master plan goes a bit awry maybe there’s some cool stuff that you’ve learnt in the process. Stand back and focus on that great stuff. Ask yourself – how am I better for the experience? – please share! 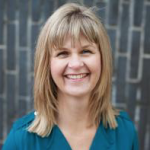 Hi I'm Alison and I hope you've enjoyed reading this short article. I write on topics that inspire me and that seem topical in my life and in the work that I do. I always appreciate feedback so please leave me a comment below.